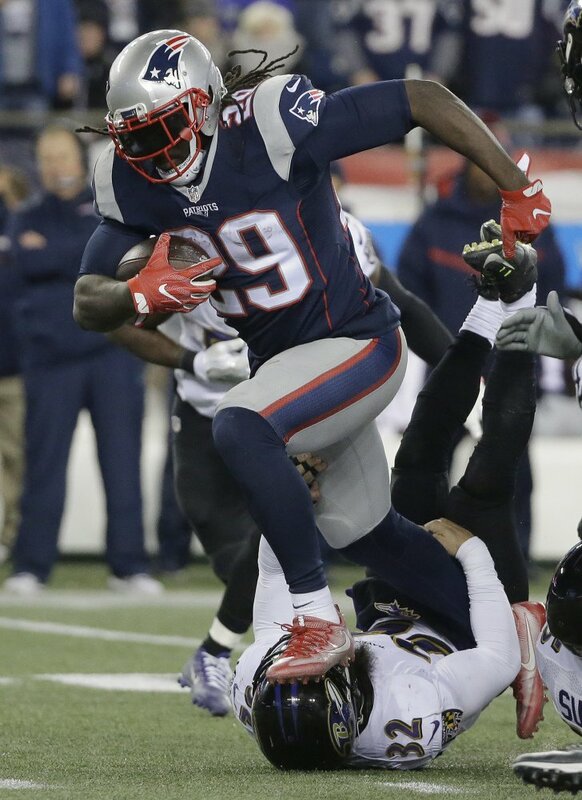 Patriots running back LeGarrette Blount runs over Ravens safety Eric Weddle in the second half of Monday, night's game in Foxborough. Blount rushed for 72 yards on 18 carries, passing 1,000 yards for the season. Patriots running back LeGarrette Blount runs over Ravens safety Eric Weddle in the second half of Monday, night’s game in Foxborough. Blount rushed for 72 yards on 18 carries, passing 1,000 yards for the season.